Oklahoma’s budget, finished after about three months, will result in a “$600 million hole,” Republican Governor Mary Fallin said. Fallin recently line-item vetoed portions of state’s omnibus budget bill, approving only five sections. She said legislators need to create more recurring revenue to avoid a larger budget hole than the one created this year. In June of 2017 the Oklahoma Legislature passed the fiscal year 2017 budget. It included a tax increase on tobacco products. However that bill was challenged in court. 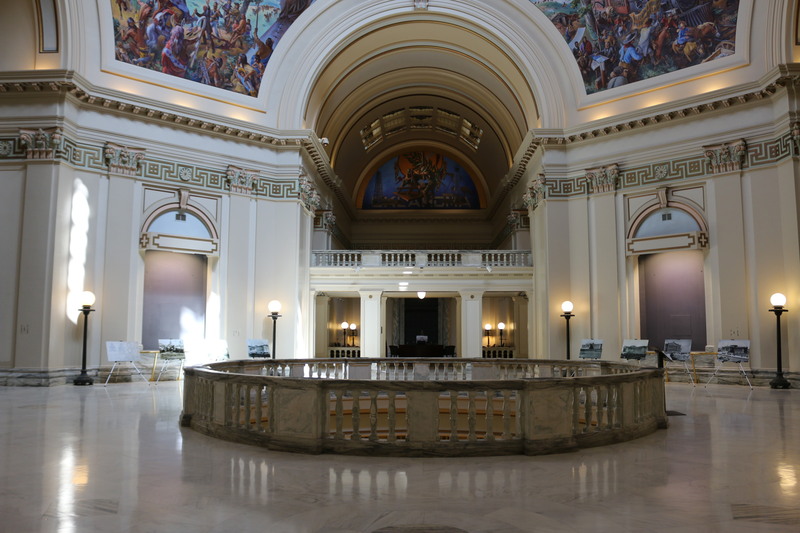 During the summer, the Oklahoma Supreme Court ruled the measure was unconstitutional because Article 5 Section 33 of the Oklahoma Constitution states no new revenue bills can be introduced in the last five days of a legislative session. In addition, a revenue bill must be passed by a three-fourths vote in both house of the Legislature, or if the vote is less than three-fourth, be placed on the ballot for a vote of the people. The cigarette tax was passed by the Senate the last day of the regular legislative session. Several legislators, such as Rep. Forrest Bennett, D-Oklahoma City, criticized the budget. Bennett said he knew the bill had no legal standing. After the regular session ended and once the court threw out the cigarette tax proposal, legislators were forced to go into special session three months into the new fiscal year. Each day the special session was held cost Oklahoma taxpayers more than $30,000. The first week produced several House bills but nothing concrete. During this time many Oklahomans protested at the Capitol, lobbying legislators to raise the state’s gross production tax to seven percent on new oil wells. Former House Minority Leader Scott Inman, D-Oklahoma City, said Republican legislators were reluctant increase the GPT. The introduction of House Bill 1035 occurred after two days of protesting. Senate Pro Tempore Mike Schulz, R-Altus, said the bill raised taxes on oil wells in order to save mental health outpatient services and to give public schools teachers a pay increase. Inman condemned Republican leaders for not putting aside political differences to pass a bipartisan bill. He said the bipartisan bill he created with Shulz could have produced $500 million in recurring revenue. After the bill failed, the Department of Human Services sent letters to its clients saying that DHS would cuts payments to its Aging Services department. DHS also announced it had began the process of laying off employees. The Oklahoma Department of Mental Health and Substance Abuse said without revenue they will have to start cuts in November, and would start reducing outpatient services by December 1st. Prior to sending out letters, House Speaker Charles McCall, R-Atoka, said state agencies should be investigated to determine how taxpayer money is spent. Officials of the Oklahoma Policy Institute, a left-leaning think tank, said the state’s structural budget problems would not be solved while lawmakers insist on asking nothing from the wealthiest households and most profitable businesses in our state. “This proposal simply continues the political grandstanding that has prevented the obvious, popular, and fair solution preferred by a large majority of Oklahomans,” the institute said. More than 2000 health professionals and patients took to the capitol to protest the failure to fund state agencies. Representative Inman, the outgoing Democratic leader, issued a statement, saying he had pushed for a compromise. “I was told that, even though the Speaker’s team had offered it as part of the compromise, a 5 percent gross production tax on new wells was simply unacceptable to House Republican Leadership. On behalf of my caucus, I then offered to accept 4.5 percent on new wells for the first 18 months of the well or even 4 percent for the first 12 months of the well,” he said. Just before Thanksgiving, the Oklahoma Department of Mental Health and Substance Abuse released a statement saying the passage of the five portions of the budget would provide funding for the agency until the spring. However, the agency said it would still have to fill a $21.5 million funding gap. The agency began with a $75 million dollar deficit after the failure of the cigarette tax earlier this year. Right now, lawmakers are expecting a call for a second special session. Fallin has urged the Legislature to develop long-term funding solution. The Governor’s action kept intact a $30 million emergency appropriation to the Department of Health, allowing the agency to make its next payroll and be funded without cuts through the remainder of this fiscal year, which ends June 30. Representative Collin Walke, D-Oklahoma City, said the House is likely to meet in December for the second special session. He said Oklahoma’s credit score was recently downgraded because legislators could not solve the budget situation. Walke, a member of the House Budget and Appropriations Finance Committee, said he did not vote on HB 1019. He said it was a bad bill. Walke said it’s likely legislators will have trouble coming to a bipartisan solution because there isn’t an immediate “crisis” that’s forcing the two to work together. Walke echoed several other legislators sentiments about previous special session. Too many representatives, he said, were more worried about sticking to their party’s platform than passing legislation against House Speaker McCall. Walke said he’s ready to start again.